Andrzej Zulawski’s film of blistering power, Possession, is a transgressive powerhouse that dissects the destruction between a man and a woman and a tentacled monstrosity, yes, I said that right, a tentacled abomination that appears to be the fruition of the apocalypse. Furthermore, this film observes the disintegration of sanity like no other. Possession, unfortunately, has gained not so much bravura as other cult titles such as Clockwork Orange, Taxi Driver, Eraserhead etc, this is mainly due to the film going (temporarily) out of print, it wasn’t available on DVD for some time both in Europe and the States. It was banned in the UK during the mid-eighties and labelled as a video nasty. Only in 2010 did we finally see the masterpiece make its migration to DVD/Blu-ray and oh, how stoked I was upon hearing such news. Despite that, it wasn’t until recently that I managed to grab a copy. Possession will crucify you in more ways than one. It’ll destroy most of your preconceptions on what you think you know about cinema. Fans of films with clear meanings steer away from this yet those who enjoy a confrontational challenge, please watch this, it’s such a reward. 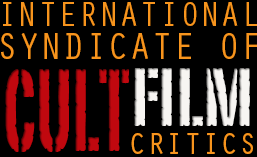 This entry was posted in Reviews and tagged Andrzej Zulawski, demons, European Cinema, Isabelle Adjani. Bookmark the permalink.